Last night when I went to bed I looked at the computer, and the clock showed 11:23 PM, however, my phone showed 10:23 PM. I figured I was on the line between Eastern and Central time. Knowing I had about another 4 hours to drive from Tennesse to Little Rock, I set the alarm for 5:30 AM. To make this long story longer, somehow I ended up waking around 4 AM thinking it was 6 AM. Who knows. Headed out to grab a little breakfast and then on to Little Rock. 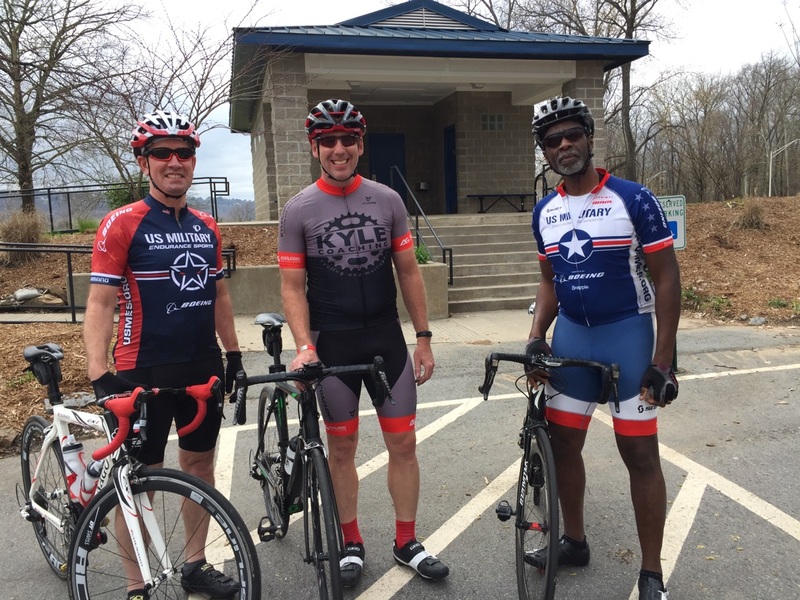 The plan was to be in Little Rock by 1 PM to ride with a couple of USMES members. I got to West Memphis Arkansas and pulled into the Love Truck stop to get some fuel. As I was leaving, I heard something dragging. I went out and looked under the front expecting to see a box or the fan shroud from a truck, but all the way to the back of the vehicle I could see my bike rack resting on the ground. I quickly moved back there and found crack number one. Kuat will tell you that you should not use one of their racks on an RV. All rack manufacturers say the same. Something about the bikes moves around too much. The Kuat rack sits too close to the RV, so I have a 10-inch extension that fits into the receiver. Somehow that extension had cracked and was causing part of the rack to rest on the ground. After taking all of the bikes off the rack and placing them in the RV, I carried the Kuat rack over and laid it in the grass, no room in the RV for four bikes and a rack. The great thing about the truck stop in West Memphis there are a ton of shops. I drove over to Goodyear and begged for some help. Several of the mechanics worked to get the remaining portion of the extension out of the receiver while another ran me over to collect the rack. Finally, I was able to get the Kuat rack back on the RV but could only use three of the four slots; it was sitting too close to the RV. Back on the road. Crack number two. There was a fairly bad accident on I-40 just outside of North Little Rock. We were bumper to bumper. The lane opened up in traffic began to accelerate. Suddenly I heard an eerie smack against the windshield. The rig in front of me had knocked some road debris up and chipped the window under the passenger side wiper. If was only a matter of a few minutes and crack rose from the nick and worked its way about a third of the way up the windshield. Nothing I could do about this except call Progressive. I made it to North Little Rock and met up with Mark Cumberbatch and Pete Higgins. Mark took us for a winding scenic ride. We started out in Burns Park and crossed a couple of bridges and ventured out in the countryside. It was not as picturesque as yesterday’s ride, but the compony was good. Another 32 miles added to the trip computer. I look forward to riding with Mark and Pete in the future. After the ride, I found a Uhaul and purchased a new, stronger, extension. Got the rack set back up with all the bikes attached and covered. The day ended with me stopping in Galloway AR at a Petro Truck stop. Went in did some laundry, hung out in the Driver’s Lounge for a while, grabbed a coke, and returned to the RV nestled in rows and rows of big rigs. Now it’s time to watch an episode of the Game of Thrones and head off to sleep. Tomorrow morning I have a meeting with Safe Life to get a new windshield and then work my way to Dallas. Dana gets here Saturday morning.